Water channels, renamed aquaporins (AQPs), were demonstrated in cells in 1992 and after the discovery of these water channels, water diffusion through the plasma membrane was revisited (Preston et al. 1992). The aquaporin (AQP) family is still growing with 13 members ubiquitously distributed in mammalian tissues. The functional roles of the AQPs are more complex than expected at their discovery (Badaut et al. 2007). 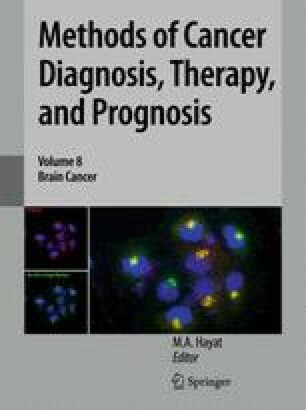 In this chapter, we will review the latest reports on these AQPs and especially their contribution in brain tumors which may be useful for the prognosis and diagnostic of malignant brain tumors. The authors wish to thank Dr M. Price for critical comments on the manuscript. This writing was supported by grants from the Swiss Science Foundation (FN 3100AO-108001; 31003A-122166); Novartis science foundation.